In my mind he did. But let’s face it. None of it matters. None of it. It’s rigged. And you know it. 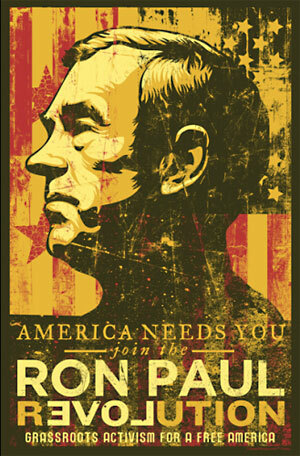 If it wasn’t, Ron Paul would already be President. Or at least have a realistic shot. There is no way that a candidate as antithetical to the status quo would be let anywhere near the White House. A modern day POTUS must pledge fealty to the globalist superstructure, the international cabal. It’s that simple and you know it. To even suggest that Ron Paul could even get near to the Fed is beyond ludicrous. But that doesn’t mean that his presence and message weren’t felt. And don’t get me started with the Ted Baxter sockpuppet, echo chamber MSM. Did you see this? And from CNN, allegedly the least biased of the news troika. On January 2, Dana Bash told her husband, CNN anchor John King, that is she “worried” about Ron Paul’s success today in New Hampshire. She said it concerns her and establishment Republicans that he will continue to push on with his campaign through the spring and summer right up to the election. Bash’s comments last night reflect the desperation of the establishment as it brazenly attempts to sour the election of Paul and his constitutional and libertarian political and economic philosophy. Note that it is Bash who has been tasked with following Ron Paul around on behalf of CNN. Paul’s campaign yesterday cut off an interview with her after she tried to blame Paul for the media swarm in a New Hampshire restaurant that forced Paul to cut short a meet and greet, a fracas that was wholly a creation of the media itself. So far nothing has worked to sink Ron Paul and his campaign, including recent dirty tricks by the John Huntsman campaign. Kids, I’m telling you. It’s rigged. But be not depressed. No, be thoroughly depressed. It’s really that bad. “If voting made any difference, it would be illegal.” Philip Berrigan said it best. Sadly.